The Democratic presidential hopeful Hillary Clinton has resorted to blaming Russia and its leader Vladimir Putin in a bid to divert attention from sensitive topics and to "score campaign points," but this is a "perilous strategy," President of the American University in Moscow Edward Lozansky and former US diplomat Jim Jatras warned. "When WikiLeaks unmasked how the Democratic National Committee tilted toward her in the primaries against Bernard Sanders, she knew just who to blame: Mr. Putin," they wrote for the Washington Times. The former first lady used the same strategy time and again. "When former Secretary of State Colin Powell's private emails skewering Bill and Hillary were hacked, the Clinton forces again pointed the finger at Mr. Putin. Now they're even claiming that the Russian president's minions may be preparing to hack into ballot machines on Election Day to steal votes," the analysts detailed. Lozansky and Jatras maintained that if Hillary Clinton is elected the next US president, she will opt for a reckless foreign policy. Take Syria, for instance. The former US secretary of state has indicated that the Syrian conflict will be her foreign policy priority. One of the first decisions that she is likely to make includes imposing a no-fly zone over the war-torn country, a step that will put Washington at odds with Moscow. "Meanwhile, her shadow Defense Secretary Michele Flournoy suggests that a Clinton administration would bomb Syrian army targets, knowing that doing so would result in not just Syrian, but Russian, casualties while another of her supporters, former Acting CIA Director Michael Morrell, actually advocates assassinating Russians in Syria," the analysts added. This goes beyond Syria. Hillary Clinton has also mentioned that as commander-in-chief she will treat cyberattacks like any other attacks, meaning that the US will respond to them with "serious political, economic and military" measures despite the fact that their origin is often hard to trace. 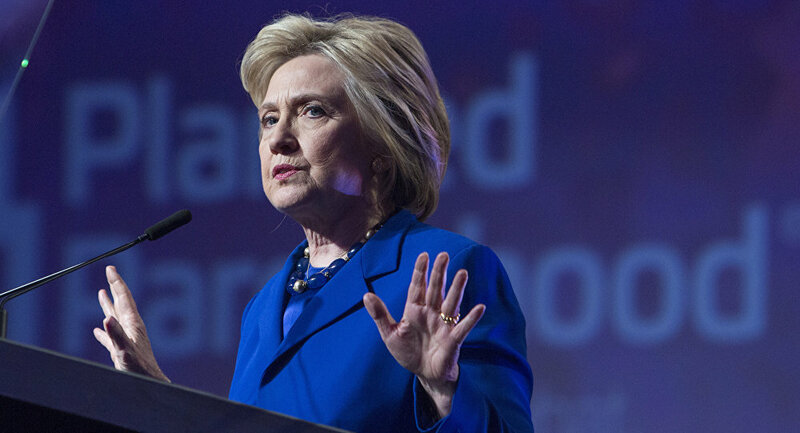 "Hillary's agenda could put us on the slippery slope to disaster. It reflects neither prudence nor professionalism, much less sound judgment," the analysts said. Lozansky and Jatras suggested that the former secretary of state could learn from a leadership style used by Donald Trump or Israeli Prime Minister Benjamin Netanyahu. "By contrast, Mr. Trump, for all his rhetorical excess, seems focused on America's interests. Mr. Trump's approach is more like Israeli Prime Minister Benjamin Netanyahu's, which is based on pragmatic mutual respect between Russian and Israeli leaders rather than blustery threats. It's a style based on strength, dialogue, deal-making and an appreciation that the countries have real interests and differences, which deserve respect," they explained.